And maybe a second time. Do we find such satisfaction in God? This is an excerpt from a book written on a train trip from Chicago to Texas. Tozer wrote all night; the words pouring out almost faster than he could write. It’s Divinely inspired. There’s a lot of good books out there, but it’s always good to go back to the classics. The Pursuit of God is one of them. Just leave a comment below, and you’ll be entered into the drawing. Subscribe to receive my articles in your e-mail box (scroll to the bottom of the screen to find the subscribe box) and you’ll be entered again. If you’re already subscribed, just say that in your comment and I’ll put your name in twice too. I’ll announce the winners Monday (July 13). What’s your favorite Christian classic? See you Friday! We’ll do some treasure hunting. It’s been awhile since our last dig. Linking up with Juana Mikels! Find other great blog posts there! Hey Malissa! Loved meeting you at the Chatterbox. 🙂 I’ve entered you twice into the giveaway! Blessings! I thought I was subscribed but maybe not. I receive it on FB but not email. Would love a chance to win boo. I’ll enter you Ellen! To receive the blog in your e-mail just scroll down to the bottom of the page and type in your e-mail address, click the (It’s free) button, and then you’ll receive an confirmation e-mail. Love ya! Bruce! So thrilled to hear from you! I am praying for you! You are entered twice. I hope to see you again too. Thank you for allowing me a chance to win this book. You are welcome, Suzy! You’re entered. I would love to win this book! And I am subscribed! i just read a comment on how we should not be lukewarm Christians, but that we should search for our Lord and give him our all. Pursue God, lose all our possessions and we will be richer by far. I am already on your email list. I would love a copy of this book…I’ve heard so much about it! Gotcha entered twice, Stephanie! Thanks for subscribing! Hey Debbie, I find it easier to read small bits of it during my morning devotionals rather than one long sitting. It’s really deep, thoughtful, pondering insight. Much love! Hi Gary! This is a good one! I’ve entered you into the giveaway! I believe you and I are both cohorts with BD Agency. Nice to “meet” you and thanks for entering me into this giveaway. I’d love to read this one again. So much meat in this book. Blessings upon the work of your hands! Hi Maresa! So nice to “meet” you too, a fellow Daniel agency author. Thanks for stopping by. You’re entered into the giveaway! I’ve always heard great quotes from Tozer! I need to read more of his work. You’ll love him, Tina! I’ve entered you into the giveaway! Would love this book; have wanted to read it for quite some time. Thx for offering it. Thanks for dropping by Jeckie! You’re entered! Love reading your devotionals. My favorite classic is “Pilgrim’s Progress” by John Bunyan. Thanks Joy! I’ve never read “Pilgrims Progress” well, maybe in college but it’s fuzzy. 😉 you’re entered twice. Thanks for stopping by Kristin and subscribing! You’re entered twice! The Sacred Romance was the book that brought me back to God, that changed everything! And I am already a subscriber. Hi Lee! John Eldredge is one of my favorite authors and I love Sacred Romance too. You’re entered twice! Is that not a perfect title for a book – Sacred Romance. True love reads and prayers and reaches out. Did you know John Eldridge is also a book junkie!! Yes, Cheryl, Sacred Romance is a great title! And it’s obvious that Eldredge is a book and movie junkie. His books are full of quotes and analogies. I love them! 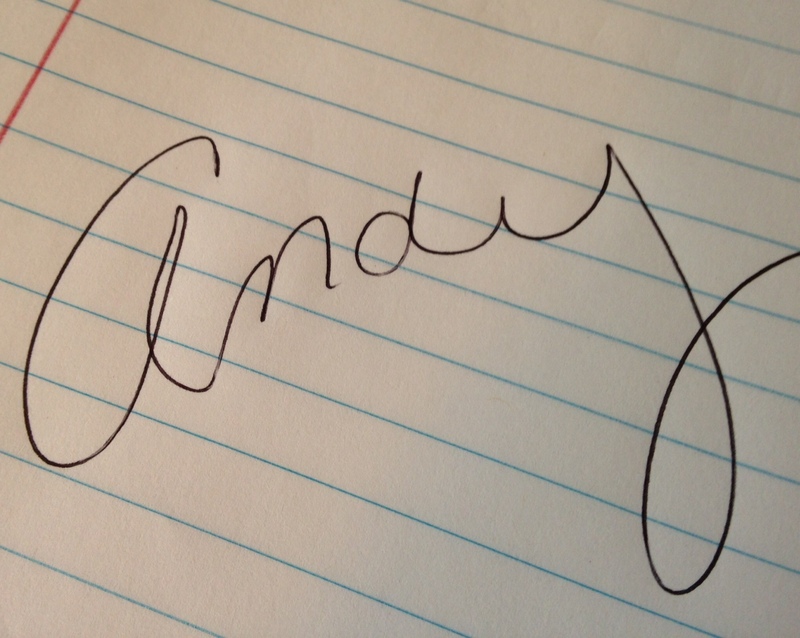 Hi Andy: As you know, I’m subscribed already. 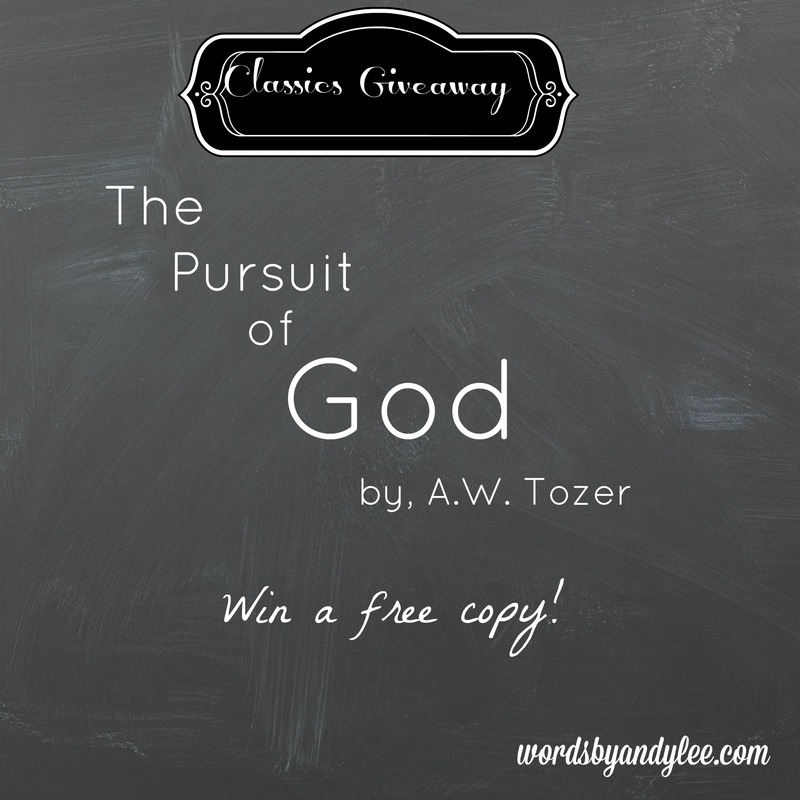 I love the Tozer quote you’ve used in this post. The classics are so rich in wisdom and in language mastery. Two of my favorite authors are Oswald Chambers and Henri Nouwen, among many. I also already own The Pursuit of God and love it, so no need to enter my name. Hope your drawing will bless others who haven’t discovered Tozer yet! I would love to read this book as I have not- my favorite classic is “With Christ In The School of Prayer” by Andrew Murray. Hey Apri! Thanks for entering! You’re in twice! This book has influenced my life and writings for many years. I’m so glad you’re giving five away. Don’t put my name in the hat, though. I already have one. Thank you! Thanks for sharing how influential this book has been to you! Love you, Jan.